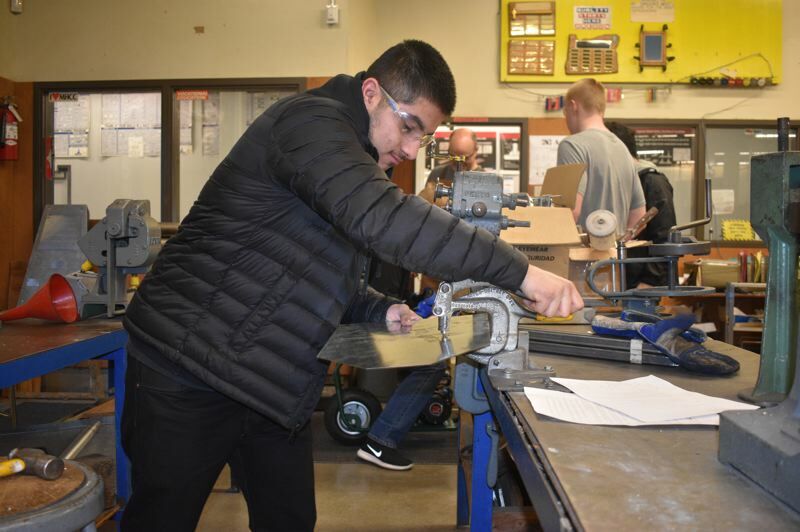 On a recent morning at Reynolds High School, senior Carlos Garcia bends over a work bench, manipulating sheet metal in the new HVAC class at his school. "Yes, I'm thinking about HVAC as a career," he offered. "It's a good job and you don't have student debt." The new HVAC (heating, ventilation and air conditioning) program at Reynolds is just one of dozens of changes in East Multnomah County schools being funded by Measure 98. Oregon voters passed the legislation in 2016 with the goal of increasing Oregon's dismal high school graduation rates and improving career and college readiness. "Measure 98 is an absolute game changer, said Carla Gay, executive director of innovation and partnerships at Gresham-Barlow School District. "It's allowed us to do creative things ... that we would not be able to do" otherwise. Gresham-Barlow got about $2.5 million for two years from Measure 98. Reynolds School District received $1.47 million the first year and $1.53 million the following year. Centennial School District received about $900,000 each year. With the funds, schools have added counselors and academic and career coaches. They've bolstered or created new programs in career and technical education (CTE) such as the Reynolds HVAC class. They have added college-level courses or struck new or more robust partnerships with local colleges to expand students' ability to get college credit while still in high school. The Measure 98 money can be used in three areas: a) establish or expand CTE education; b) establish or expand college-level educational opportunities for high school students; and c) bolster drop-out prevention work and thus boost graduation rates. The funds are limited mostly to use in high school, although a small portion of the money can be used in eighth grade. The funds were first distributed to school districts in the 2017-18 school year. Unused money could be rolled over into the current school year. Centennial High School used some of its funds for a part-time graduation coach. "He works to get them across the finish line," said Assistant Principal Zach Ramberg. Centennial also started placing freshmen students in teams, or communities, as is done at some other schools. Teachers in the basic four core subjects get together and work on problems and opportunities that come up for students in their teams. The school also made significant improvements to its metal shop, Ramberg noted. Multiple new machines were added including two new lathes and a computer-controlled router. The school's maker space also got new 3-D printers, computer science courses were added and plans are afoot to upgrade the culinary sciences classroom, Ramberg said. The Advanced Placement human geography class, which can earn college credits for students, was offered for the first time this year, and textbooks were updated in two other AP classes. Centennial started College Possible, a nonprofit AmeriCorps program that focuses on college admission and success for low-income students with coaching and support. "We're excited about this," Ramberg said of Measure 98. "It's been remarkable." Reynolds' statistics show 770 freshman walked in the doors of Reynolds High in the fall of 2013. Four years later, when it was time to walk across the graduation stage in June 2017, that number had dwindled to 416. To stanch the exodus of dropouts, Reynolds is using Measure 98 money to take multiple steps to keep kids in school. "There is a high correlation between absence and not graduating," said Frank Caropelo, assistant superintendent. The school has added two counselors and assigned an engagement coordinator and two liaisons to work with students with poor attendance. A ninth-grade "access" class was established as a full-year course, providing mentoring, goal setting, organization tips and more to get freshmen acclimated to the demands of high school. Teachers get together in a ninth-grade "success team" and review student grades and test scores every three weeks. The ninth-grade success team has "been a great success" so far, said Assistant Principal Mike Anderson. Students now get a "Raider Report" that outlines how they are doing academically and with other aspects such as attendance. "The Raider Report shows them in real time how they are doing," Anderson noted. In the CTE area, in addition to the HVAC program, the school added an internship coordinator, replaced or added new shop tools, upgraded welding stations and renovated and expanded the culinary lab. The early childhood education playground also was improved. To help students get college credits while in high school, Reynolds created an assistance fund for students taking tests for Advanced Placement courses to gain college credits. The tests cost about $85 each. Reynolds Learning Academy (RLA), the alternative high school for students who struggled in the large, comprehensive Reynolds setting, hired an attendance coordinator and added a full-time counselor. RLA brought back night school, which had been shut down. The RLA "Turnaround Center," a program to get back on track with high school credits, is being expanded. RLA also got CTE improvements and an AmeriCorps volunteer for the programs. Both Reynolds schools added software called Naviance to help students and their parents with college and career planning. 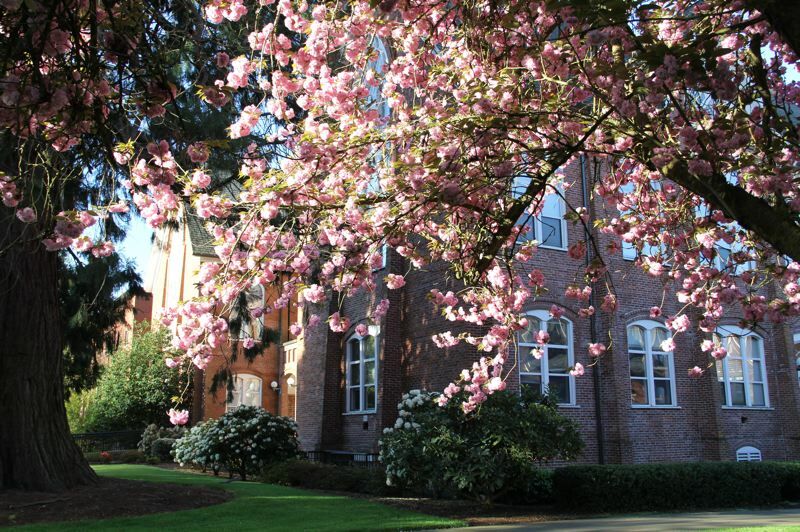 Gay said the Gresham-Barlow district added a high school success coach at both Gresham and Barlow, and those new staffers will help keep freshmen students on track. Gresham-Barlow district teachers also are getting more training with the Measure 98 money. The district added math teacher hours to lower the size of math classes, which tend to be a stumbling block for many high school students. The district also added a "connections coordinator for reengagement" to work with students who have dropped out to get them back into school. In addition, the schools increased the hours of licensed clinical social workers. The funds also were used for school attendance liaisons at the high schools to help students overcome attendance challenges. 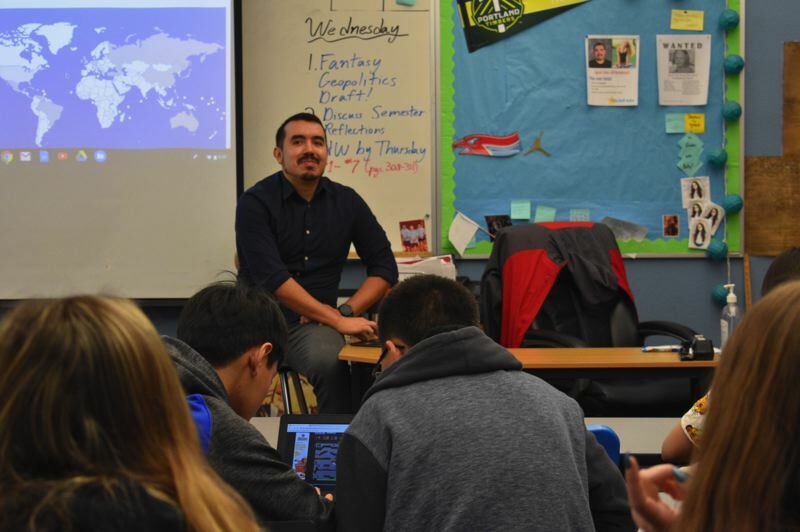 Students at all Gresham-Barlow high schools have various ways to get college credits while in school, and the district strengthened those with more teacher training. It also set aside about $10,000 for college field trips. In the career and technical education area, Gresham and Barlow high schools each got a full-time career coordinator. Springwater Trail, with about 200 students, got a half-time career coordinator. The district bought new equipment for CTE classes, spending around $333,000 at Barlow and $250,000 at Gresham. This is not only for welding, routers and other equipment in the trades, but also for curriculum and software for students studying marketing, media and engineering and equipment for culinary programs. Because Gresham and Barlow are both under construction, some of the equipment won't be used until new shop and classroom spaces are finished. Teachers are looking forward to unpacking the new Hunter Alignment System for Gresham's auto shop. The district also committed tiny amounts of the Measure 98 money for student celebrations and rewards for achieving goals, which encourages students to follow through to graduation. All the districts are glad to have this money to improve student success, but Gay said it's not a substitute for adequate schools funding year-in and year-out. "It does not address stable funding for education," she said. "It's not a silver bullet." The new HVAC (heating ventilation and air conditioning) at Reynolds High School is the only registered pre-apprenticeship HVAC program in the state. The program teaches basic industry skills. Students who complete the class have a leg up in entering HVAC apprenticeship programs after they graduate, said Erich Schneider, the program's instructor. Senior Nicholas Blegen appreciates the skills he's learning in the class and is thinking about going into the trades after high school. He said his top job choice would be firefighter. 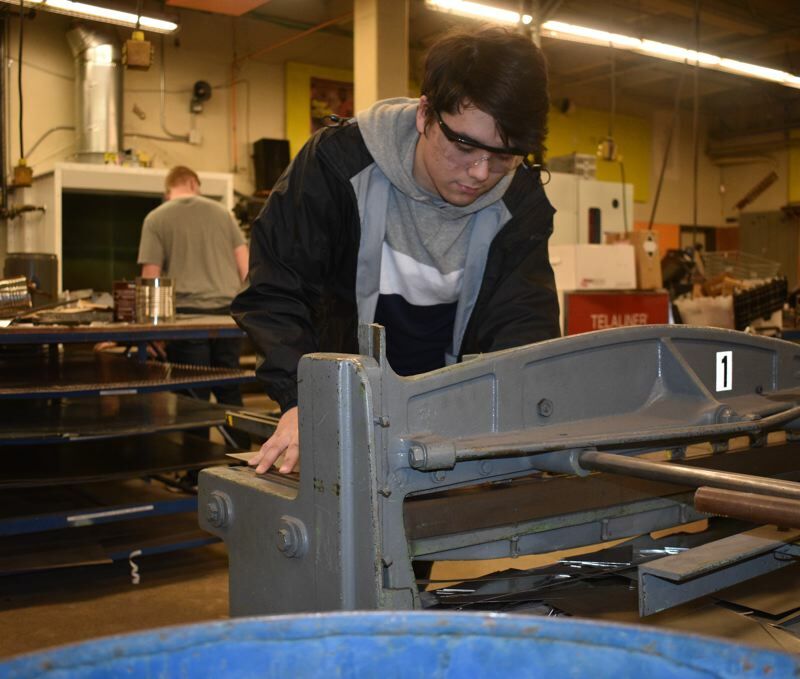 Senior Tyler McFarland has already committed to the U.S. Air Force and thinks the skills he's learning in the HVAC class will be useful in the military, future jobs and general life skills. While in an apprenticeship program, apprentices earn $18 per hour, which doubles when they graduate, Schneider said. "HVAC is one of the growing areas in the construction trades. The industry cannot get enough people," he said.